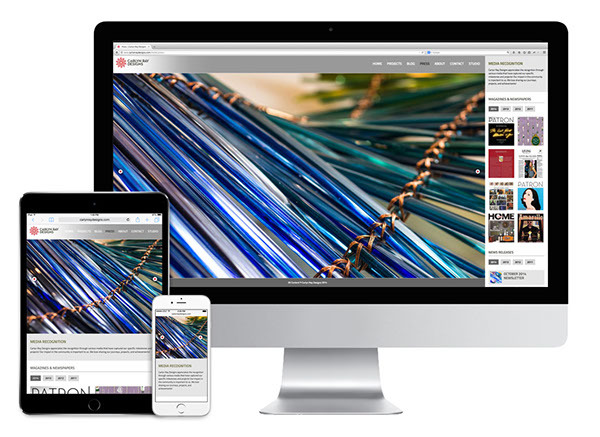 As part of the branding efforts for Carlyn Ray Designs, my client Carlyn requested a website rebuild that showcases the impressive glass work that she is producing for her clients. 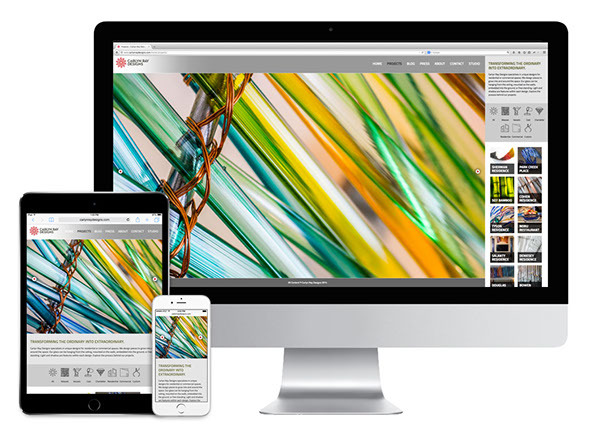 Carlyn needed a CMS solution that was responsive across all devices to reach as wide an audience as possible. 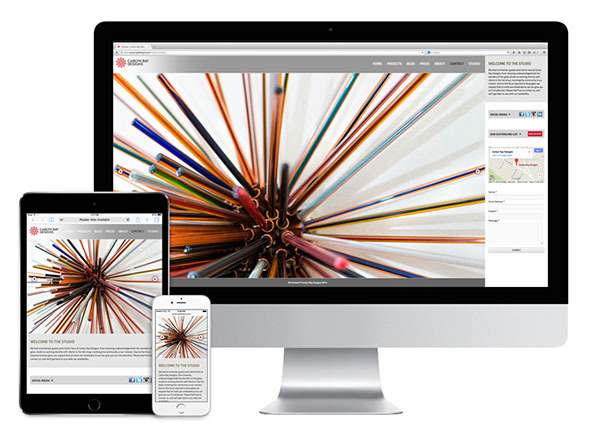 In order to make the work the hero, we created this unique template with a large image slider, but always worked with a 'mobile first' approach to make sure the mobile experience would be just as enjoyable as the desktop or tablet. The new website allows Carlyn to have the ability to make instant updates, and to keep her subscribers up to date on events and new projects no matter where they're at. Her main projects are featured individually and can be filtered by classification according to what type of project she created - vessel, chandelier, weaving - or by residential or commercial classifications. 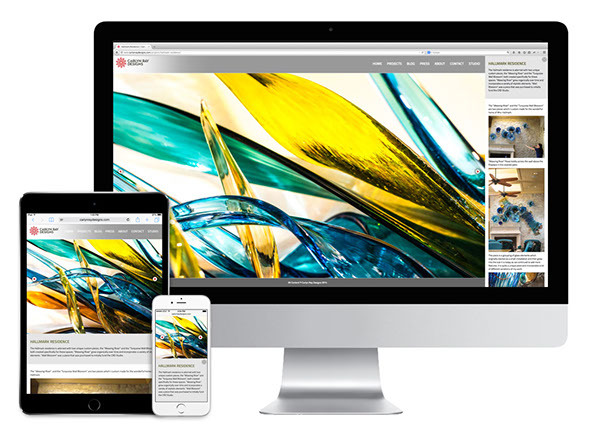 The large image slider gives a prominent view of her pieces while the content area gives detailed descriptions about the project requirements and additional images to provide a narrative of the project. The Press page is a key element of the site where the previous articles discussing her work can be filtered by year, and her monthly newsletters can also be accessed chronologically. There's an about section that gives the reader a brief look into Carlyn's background, and then links to her artist statement and resume as well as information about her outside projects - Artists Reaching Out workshops for underprivileged kids - and her glass studio events. Social media links an additional subscription button to sign up for newsletters, a google map and email form can all be found on the contact page. If you want to drop by the studio or speak to Carlyn about creating a custom piece for your residential or commercial environment this is the place to get in contact. I also want to give a shout to James and Dermot from Ten Bridges here in Portland for all of their amazing help and the deep skill they brought to the development of this project. They are excellent problem solvers and are focused on the success of this project that wouldn't have been possible without their expertise, understanding and hard work. If you would like to experience the live site in action please click here. 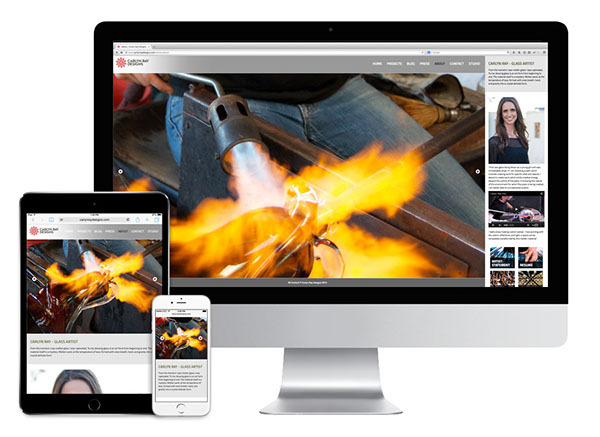 A website for an accomplished glass blower in Dallas Tx. This is part of an integrated branding campaign I created for my client. 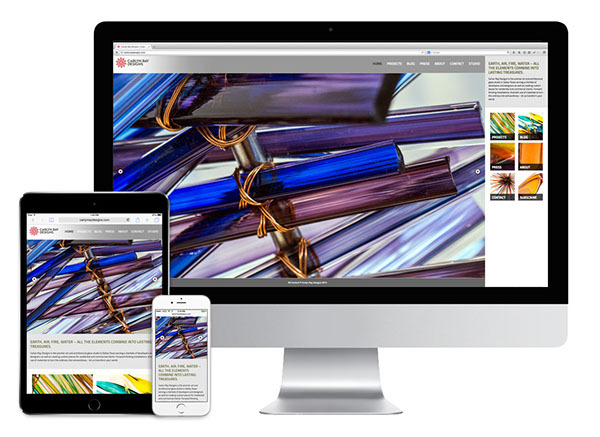 This responsive website details her glass installations, community outreach and her experiences with the glass medium.